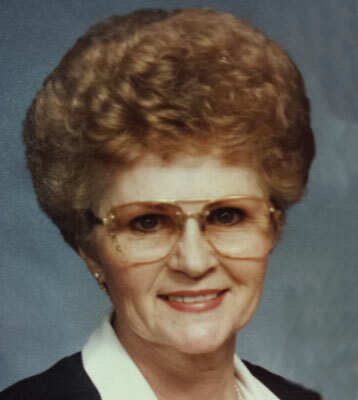 AUSTINTOWN - Funeral services will be held Thursday at 11 a.m. at the Higgins-Reardon Funeral Homes, Austintown Chapel, for Mary Oretha Brothers, 84, who passed away Monday morning. Mary was born Feb. 19, 1930, in West Point, Ky., a daughter of the late James A. and Frances (Jamison) Wardrip. Mary was employed in the cafeteria at Austintown Schools for 20 years, retiring in 1992. She was an excellent cook and enjoyed gardening. Mary also loved to travel with her family in a motor home. She also had a love for her dogs and cats over the years. Her husband, Bert Wayne Brothers, whom she married in June of 1952, passed away Sept. 20, 2005. Mary leaves her son, Danny (Rhonda) Brothers of Austintown; two grandchildren, Kari Brothers of Canfield and Timothy W. Brothers of Austintown; and a brother, Jerry Wardrip of Indianapolis. Mary was also preceded in death by three sisters, Mable Burdine, Maureen Wardrip, and Betty Persinger, and two brothers, Gene and William Wardrip. Family and friends may call Wednesday from 4 to 7 p.m. and Thursday from 10 to 11 a.m. at the funeral home.